I'm not sure what resolution images I should be uploading so I'm uploading the smaller ones. 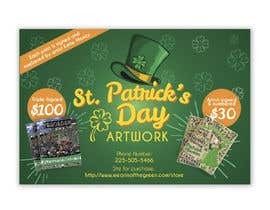 I need an ad to be designed for inclusion in a St. Pat's Parade publication. We want to sell these highly collectible parade posters. I know I do not need all of these words in the ad. The goal is to SELL POSTERS! 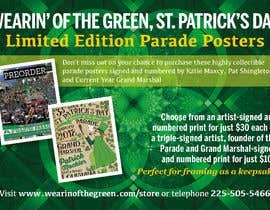 Each are 16" x 20" official prints for the Wearin' of the Green, St. Patrick's Day artwork and are perfect for framing as a keepsake. 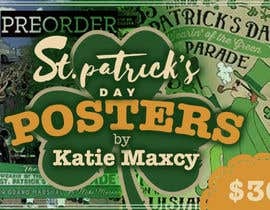 Each print is signed and numbered by artist Katie Maxcy.